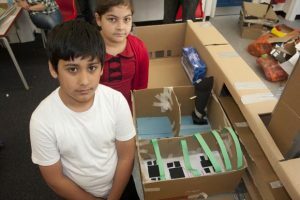 Granit were delighted to be involved in the Open City Architecture in schools primary program for 2012. 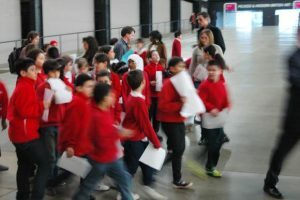 Partnered with Millbank Primary in Pimlico, London, we led the pupils on an exploratory building visit of the Tate Modern, where they measured, sketched and learnt about the structure, materials, light and planning of the building. 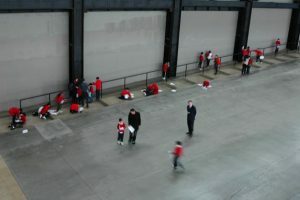 Back in the classroom, they were asked to imagine a brief of a venue for an Olympic sport- and we encouraged them to use the large turbine hall as the starting point. 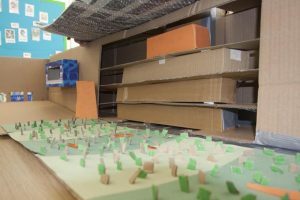 Sketches and ideas were developed into card models, with the assistance of the architects to help with scale and construction issues! 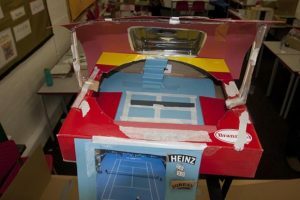 There was a proposal for a floating tennis court on top of the chimney, indoor javelin and basketball arenas, as well as diving, cycling and football arenas. 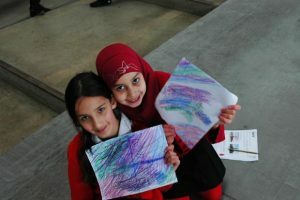 Thank you Julia, it was a pleasure.